Despite the fact that every person should be scheduling a routine dental cleaning every six months, it is actually very difficult for dental offices to retain regular patients. In fact, sometimes trying to find new patients at a dentist office feels like trying to stick duct tape to a wet wall; it just doesn’t work. If you are a dental office that is having difficulty finding new patients, don’t give up. You just need to try some new marketing strategies. And, if it’s new marketing strategies you’re looking for, you are in the right place! This list of 29 marketing ideas for dentists in 2018 is compiled of the best and brightest methods from five different categories; organic listings, word of mouth advertisements, print advertising, networking, and paid media advertising. With this list, a little bit of innovation, and a lot of motivation you will certainly be on your way to more patients in no time! Another word for natural, organic search page listings are ones that just seem to “happen on their own”. Generally, organic listings don’t require cash investments or even a grandiose plan to be successful. Because of their affordability, organic listings are often the first type of marketing dental offices gravitate towards. If you need the answer to a question fast, or a recommendation on a business to use, where do you go? That’s right, Google. Google is the king of the internet. Did you know that Google processes over 40,000 searches every second? (internetlivestats.com) Just about everyone relies on Google to answer their questions and provide them with the solutions to their problems. And, finding a dentist to visit for an annual cleaning just happens to be one of those problems that many people need to have solved. If you want your dental office to come up on the first page when someone searches for “dental offices near me”, you need to care about your website’s SEO. SEO is Search Engine Optimization, and it determines where your website will show up in a search. To start improving your SEO, think about keywords that people use to find your dental office, and then incorporate those into your website. Dental office, dentist, local dentists, and local teeth cleaning are just a few that you can start with! and increase traffic to your website via inbound links. One trendy and affordable way to boost your dental office online presence (and, yes your SEO) is to start a dental blog on your website! Blogs help to bring traffic to your dentist office website and convert casual visitors into new patients. According to Forbes.com having a blog on your website improves your search engine optimization, humanizes your brand, and helps you build authority in your industry. In other words, when people are able to read your opinions and experience your expertise, they are more likely feel that your dental office as approachable. Therefore, they will be more likely to call your dental office and book an appointment. Remember the big heavy yellow book that used to show up on your doorstep once per year? What was that called? Oh yeah, a phone book! Although phone books still exist, their importance pales in comparison to what it once was. Instead of thumbing through page after page trying to find the local dental office, patients now turn to online business listings to find what they need. As a dentist, you should be able to promote your local office through a free online business directory website. Online directories make your dental office more searchable and help increase its chances of showing up in an online search. Not sure where to find an online directory to list your dental office? Try one of these services to get you started. Promoting your dental practice blogger, social media user or otherwise influential person who has significant engagement with their following is a good way to get meaningful exposure. Is Kim Kardashian or LeBron James visiting your dental office? Probably not. However, that doesn’t mean you can’t use influencer marketing to tap into a new demographic of dental patients. 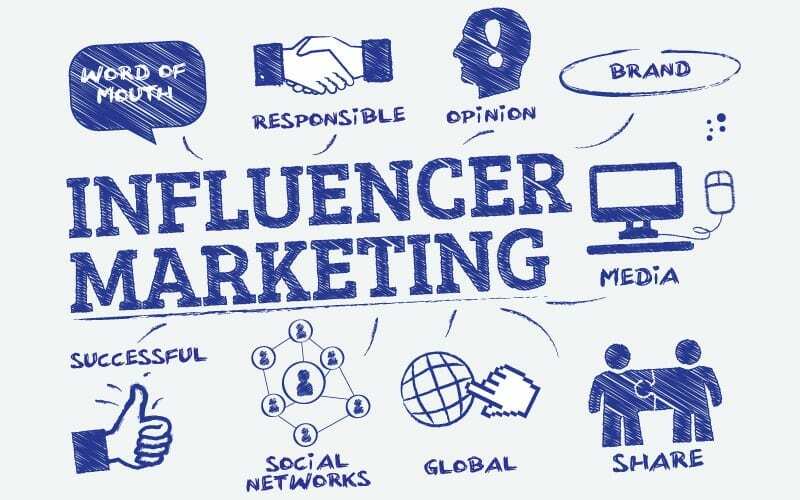 Influencer marketing according to influencermarketinghub.com is a mix of the traditional idea of celebrity endorsements and new content marketing campaigns. In influencer marketing, a popular individual uses your product or talks about your service on their social media channel, website, or other business platforms to endorse you. As a local dentist, it might be difficult to convince an A-list celebrity to come in for a cleaning. However, you can find popular people in your own area to do the same job. Where does the mayor get his teeth cleaned? What about the popular restaurant owner, or the best teacher at the school? All of these people have the ability to influence their friends and bring more people into your dental office. Most often, influencers do not require a hefty payment for their service. Instead, you might offer them a discount on their annual cleanings or a few free teeth whitening services in exchange for helping you out via their popularity. When phone books went out of style, so did the yellow pages. Yellow pages used to be the place where you could easily find information about a business and how to reach them. Now, that’s your website’s primary purpose. As a dental office people visit your website for a number of reasons. They want to find out about your dental practices. They are looking for reviews on your dental services. They want to know how to contact you to set up an appointment. Unfortunately, if someone visits your dental office website and finds a hard to navigate platform they are likely to exit the site and never return. However, a little bit of investment and some attention to detail can keep customers coming back for more. If there is one thing you need to be successful as a local dental office, it is a good website. If you aren’t an internet guru, you should consult with a web designer to create a layout that will work for you. Just remember, if you want to grow your dental practice, you need to follow the trends, not your personal style. Did you know that over 6 billion text messages are sent in the United States each day? And, did you know that 97% of Americans use text messaging to communicate? If that doesn’t send a bright signal to dental offices about how they should communicate, I don’t know what does. Gone are the days of phone calls, leaving voicemails, and expecting someone to pick up the phone. Today, consumers expect to receive a text message and move on with their day. As a dentist, you can really take advantage of this form of free communication to grow your business. Text your patient’s reminders for their upcoming dental cleaning and text your patients when they need to schedule a dental appointment. This type of communication allows patients to effectively and efficiently communicate with their dental office; creating ease and reducing stress for everyone involved. and efficient marketing initiatives available today. Although it is affordable and wise to use organic listings to advertise your dental office, many times it is not enough. Therefore, adding paid advertising options to your salad of marketing tools is a wise choice. These paid advertising options for your dental office will boost you into the 21st century. No longer do your paid advertising options have to be in print or on billboards, they can be blasted out online for the world to see. Every day, over 5 billion videos are watched on YouTube by people around the globe. They click through links that piqued their interest from a social media site or go searching for a hack they just have to try. But, before they can get to the good stuff (the video content), they have to sit through an ad. Although they can be somewhat annoying, YouTube ads are a wise investment for dental offices that are ready to do big business. Not only do people have to sit through these ads before they get to the video they want to watch, but they are more likely to be a captive audience because they have been groomed to expect the ads. However, if you are a dental office that wants to invest in YouTube ads to give help sow new business, you need to think outside of the box. Just flashing the name of your office and your website across the screen will not do. Instead, consider a tutorial of teeth brushing or flossing. You could even create intriguing ads about cosmetic dentistry or teeth whitening. It’s no secret that the world of social media dominates the internet as well as society. In fact, on average, 1.4 million people log-on to the social sites daily. Despite the original intent of these sites, people use them as their source for daily news, business recommendations, and referrals regularly. If you are a dental office that wants to acquire new patients, you need to have social media sites. As a local business, people expect you to have a presence online and want the opportunity to get to know you and what your dental office is all about. However, what’s even better than just having a social media presence is leveraging your social media presence to bring in new customers. Right now, both Facebook and Instagram offer the options for businesses to run paid marketing campaigns to targeted audiences. This means you can choose the demographic you desire, the area you want to market to, and when you want to market. Then, Facebook and Instagram blast out the messages and your phones start ringing. Every store you visit asks you for your email so they can send you coupons and special offers. Why should your dental office be any different? Think of email marketing as a less expensive, more user-friendly version of direct mail. Gain a relationship with your patients that make them loyal to your dental office. The good news is, implementing email marketing for your dental office is rather simple. The first step you need to take is to subscribe to an email marketing platform such as Constant Contact or MailChimp. These platforms will make it easy for you to design attractive, trendy emails to send to all of your dental prospects and current patients. Do not under estimate the importance of a well planned and executed marketing strategy for your dental practice. Pay per Click advertising or PPC is a form of online advertising that is attractive to many business models but could be especially useful for dental offices. With PPC, you set out on Google with a designed ad you want them to place on sites around the web. Then, Google places the ad in front of viewers based on their recent search history in hopes that they take the view the ad and ultimately click on it. Once they click, a fee comes out of your preset budget for the ad campaign. From there it’s your website’s job to do the work and convert this lead into an interested new patient. The average cost for a PPC advertisement click is between $1-$2. This low cost of advertising makes it an affordable option for dental offices in local communities that might not have a substantial marketing budget. Many dentists prefer PPC advertisements because they feel as though they get more bang for their buck. Unlike Facebook or Instagram ads, PPC advertisements only cost when a customer truly shows they are interested. To implement PPC advertisements for your dental office, visit Google AdWords. They have everything you need to get started. It’s funny that even with all of the online advertising options and out of this world marketing techniques, some of the best results are a result of word of mouth advertising. Word of mouth advertising has been around since basically the beginning of time and is something that most everyone participates in whether they think they do or not. Remember the last time you bought a new shirt? You probably told someone where you bought it—word of mouth advertising. The great news is, word of mouth advertising can work for your dental office as well. You just want to have a few plans in place. Referrals from employees, existing patients and other medical offices are a great way to gain new patients. Naturally, patients are going to refer their friends and family to your dental office. If one of their friends asks them where they got their teeth cleaned last, they are going to say your dental office (unless they make a habit out of telling tales). When you let patient referrals take their natural course, they tend to come in slowly. However, if you add an incentive, your patient will find a reason to talk you up, even when teeth aren’t the topic of conversation. You can incentivize patient referrals to your dental office by offering deals or discounts for every new patient that is referred. Consider a percentage off regular cleanings or, even better, consider offering a discount on a service your patient doesn’t usually receive like cosmetic dental or teeth whitening. If you want patient referrals to work for you, you have to talk them up to your patients every time they are in the office. Remind them of the awesome incentives that you offer to keep the opportunity at the top of their mind. When you run a small dental office, there is something special about community. Most likely, there are multiple other businesses in your same building, strip mall, or at least within your same neighborhood. If you are looking for a smart way to market your dental office, you should begin by making allies with these businesses. Neighboring businesses have the unique pleasure of getting to know one another. Then, when they do, they can refer customers over to your business. Although you can refer to any other business and any other business can refer to you, it is in your best interest to form relationships with other businesses that have some relevance to the dental industry. Orthodontists, plastic surgeons, general practitioners, and pediatricians are all strategic choices. It’s true, there is no better testimony than a true testimony of an employee. When an employee truly loves what they do, where they work, and believes in what they are doing, their enthusiasm is contagious. So, if you are looking for a group of people that has the power to draw new patients to your dental business look no further than your very own employees. Much like how sales based businesses offer their sales people incentives, dental offices can offer their hygienists and other employees attractive prizes for bringing in their friends, family, and acquaintances. Gift cards, bonuses, door prizes, and even vacation days are all bait that can really bring the big fish. Be sure that all of your marketing tactics work together towards the same objective. When thinking about social media sites that have the power to bring in new customers, LinkedIn is typically the last one that dental practices consider. But, although it is typically used for professional networking, creating an influential LinkedIn Profile as a dentist can serve you and your business very well. To use LinkedIn for marketing your dental practice, there are a few strategic steps you should take. 3. Share and publish unique articles related to your dental office and the dental profession. Following these three steps will help you to gather followers and gain credibility on LinkedIn as a professional. Once you do, people will be more likely to send potential patients your way. Extra, extra read all about it! There’s still room for print advertising in the modern marketing world! And, as a dental office, you can really take advantage of print advertising to move your practice to the next level. Print advertising, although viewed by some as archaic, is actually still quite effective. People remember what they see and read. Furthermore, physical objects create more permanence in the mind than those on screen. If you want to take advantage of print advertising for your dental office, there are a few 21st-century options that we have found to be ultra-effective. Yes, believe it or not hanging posters is still an effective form of marketing for your dental office. You just have to know where to hang them and how to create an attractive poster. If you have enough materials, you can even ask some of these locations to hand out posters on your behalf. That way, potential dental clients are more likely to read the poster. Perhaps you think posters are a great idea but don’t even know where to start when it comes to design. That’s okay, you don’t have to! There are online services like Canva which have attractive layouts for you to use and offer design suggestions. 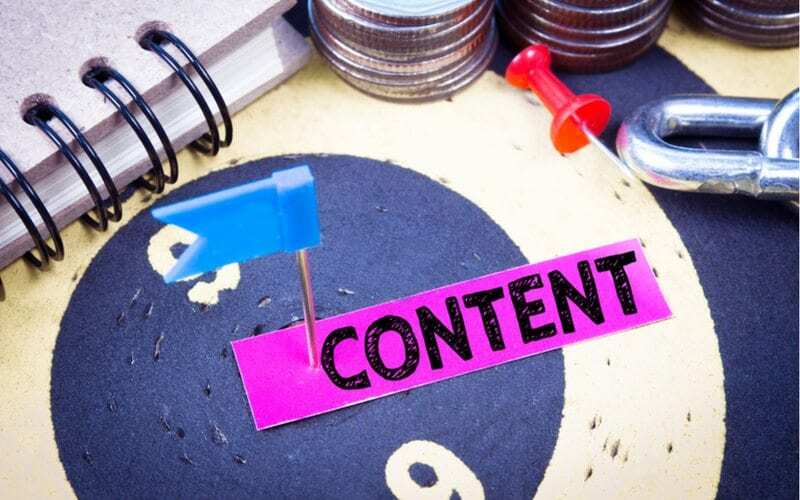 Your marketing, including your website, requires a steady flow of rich, relevant content. Many neighborhoods in larger communities have magazines that are published specifically for their residents. These magazines offer recommendations for local restaurants, services, and stores to readers. As a family dental office, advertising in one of these local magazines is a great addition to your advertising budget. To stand out amongst the other dentists in your neighborhood, consider upgrading your advertisement in the neighborhood magazine to an article. Unlike an advertisement, articles are more likely to be read and can offer something of value to the reader. And, if a potential customer feels as though you provide value, they are more likely to visit you for their next dental implant, tooth filling, or extraction. Groupon, although it is not a traditional print offering, is the modern-day equivalent to a coupon booklet. Through Groupon, potential patients can purchase “deals” for your dental office that will bring them through the door. Basically, any deal you can dream up, you can offer on Groupon. Although the discounts are very deep, many times these coupons are key in cultivating loyal patients for your dental practice. Look, it’s a bird, it’s a plane, No! It’s your face on a billboard! Yes, that’s right, billboard advertisements are still a very viable marketing technique used by businesses everywhere. If you are a family dentist, what better way to get your customers acquainted with you than seeing your face every time they drive through town? Depending on your location, billboard advertisements can cost anywhere from $1,000-$25,000 per month. Therefore, in some cities billboards can be very budget friendly forms of advertising for your dental office. For a dentist office billboard, consider advertising the best qualities of your business. List the services that are unique to your practice as well as an example of your best work—a big, bright smile! Just like word of mouth advertising, networking is one of the most effective forms of marketing available to businesses far and wide. The formula is simple, when people like you, they like your business. Of course, networking can naturally happen when you are out in the community attending your children’s school events or when dining at a local restaurant. 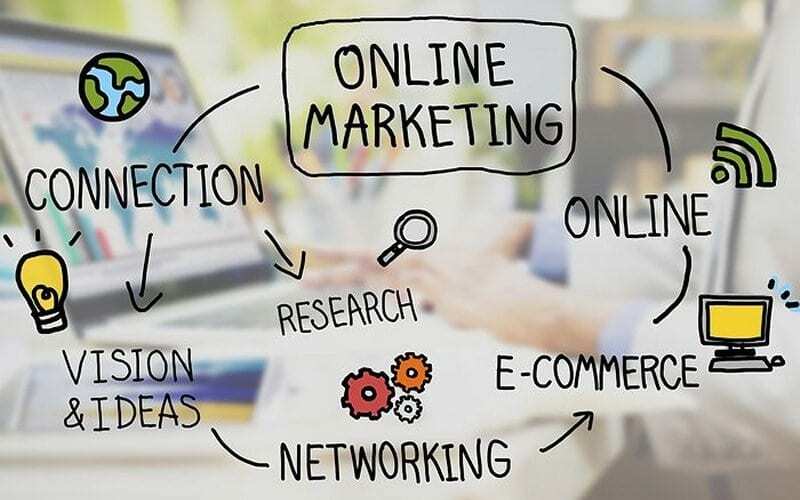 But, as a dentist, you can implement a more effective form of network marketing by incorporating these strategies into your dental office marketing plan. Great marketing and promotional opportunities exist in your own backyard! The Chamber of Commerce is an organization in your community that serves the purpose of bringing businesses together. For a small annual fee, you can belong to the Chamber of Commerce, attend all of its events, and even advertise through its channels at a reduced cost. Although all of the aforementioned benefits are great, the greatest benefit of the Chamber of Commerce is really getting acquainted with other business owners throughout the community. 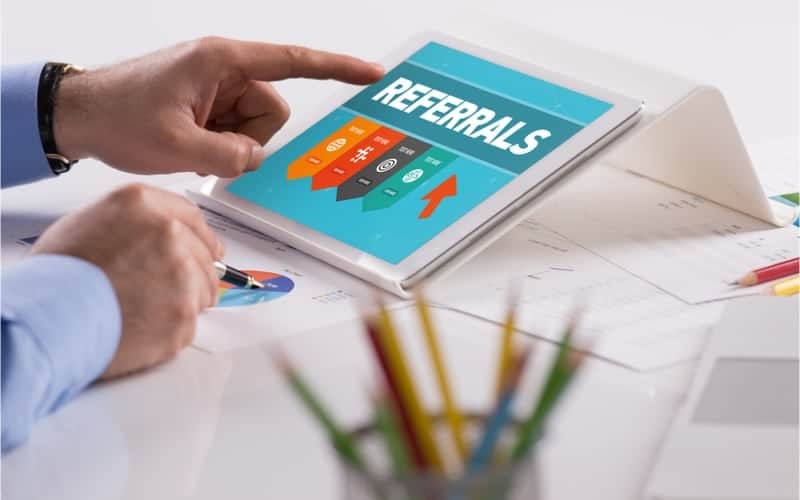 As a dentist, you can use the Chamber of Commerce to connect with other businesses that you can build referral programs with. Furthermore, you can gain all of the most important business influencers in the community as patients! Just one more thing! If you join your Chamber of Commerce, consider hosting a networking night at your dental office! This gets potential customers through the door and increases the connection they feel to you and your practice. It’s not a logical thought that giving money away could mean bringing money in. However, that is exactly what can happen when you support your favorite local charity. Throughout the year, many local charities host events in the community they need to find sponsors for. As a dentist, these sponsorship opportunities are ideal. Not only do you receive advertising in their event promotions, you also get the opportunity to build a connection and gain recognition among families in the community. Furthermore, when you support a charity, you are most likely supporting a cause that many people believe in. And, people who are really passionate about a charity will jump at the opportunity to do business with a dentist who shares that same passion. Gather your pop-up tent, chairs, tables, and posters—it’s time for the local business fair! Although business fairs can be a pain to set-up for and coordinate, you can really reap the benefits from your participation in them. To find local fairs that your dental office can take part in, call the city council or contact the Chamber of Commerce. They often have a list of all of the options. Pro Tip: When you are setting up for a local fair, consider offering some kind of dental service for the people who visit your booth. Perhaps a complimentary mouth-wash station or a quick cosmetic dental exam! Any of these incentives will get potential patients moving in your direction. Try not to ignore traditional media and marketing channels for your dental office. Last, but certainly not least, there is always value to be found in paid media advertisements. As a medical professional and dentist, letting your voice be heard is an effective way to help your patients get to know you. Fortunately, paid media advertisements for dental offices don’t just have to happen on television. Today, there are other opportunities that appeal to the masses and are also more cost-effective for a small office budget. Recorded podcasts on Spotify, Apple Music, YouTube, and other media channels are the new talk radio. People from every walk of life find enjoyment in listening to experts voice their opinions on a myriad of subjects. As a dentist, a unique method of paid media advertisements is a recorded podcast. According to Side Hustle Nation, a podcast can cost you anywhere from $10 if you are technologically savvy to $1500 if you are not. However, as a dentist, it is probably wise to make an investment to have someone professionally record your podcast and publish it online. The key to recording a great podcast is to keep it fun, funky and fresh—even if it is about teeth! Classic and cool, radio advertisements never seem to go out of style. However, today you don’t have to opt for an advertisement on your traditional radio station to get the word out about your dental office. Instead, choose to advertise your local family dental office on Pandora or Spotify as a paid advertisement. Many people opt for these forms of radio streaming instead of tuning into their dial. According to quora.com, for every 1,000 people that hear your ad, you will be charged roughly $8-$12. This relatively low-cost advertisement can be tailored to meet your specific needs and desired demographics. Now that you are well acquainted with these 29 marketing ideas for your dental office in 2018, you are ready to get started on building your business. Just remember, all of these marketing ideas are not for everyone. In order to find success, you must pick and choose the strategies that fit the needs and style of your business! Now, go build your business and clean some teeth! NextWant to Get to the Top of Search Rankings?